Have you ever wondered what to do with the sculpture you just bought? See below for some examples of custom pedestals. Click on each picture to see the sizes and where the pedestal is available. What functional details go into making a good pedestal? prevent scratches, and are adjustable to compensate for uneven floors. and stain color to complement the art object placed on it. 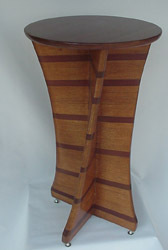 Woods used in prior pedestals include Oak, Purpleheart, Mahogany, and Walnut. 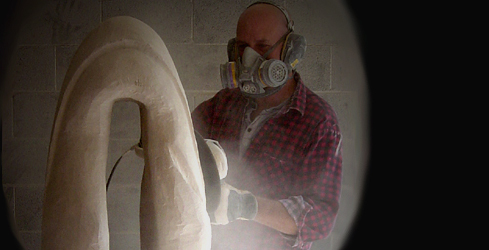 Do you need a sculpture to go with that pedestal?